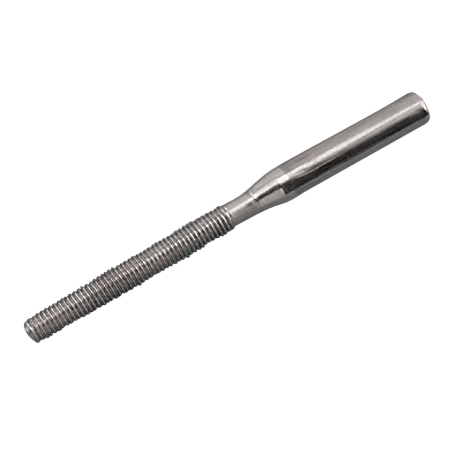 The Rail Swage Stud can fit wire sizes from 1/8″ to 3/16″ and features a UNC, right hand and left hand thread. This swage stud is made from grade 316 stainless steel for maximum corrosion resistance and durability. 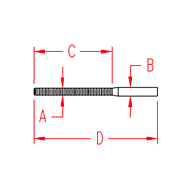 It is ideal for marine, industrial and architectural wire rope swage assemblies.